Why do you take photos? Do you shoot for yourself, or for others? Do you want to find more personal meaning through your photography? After the initial questions about gear, technique and style, what are the important deeper questions that draw you to photography? Inspired by these personal and honest conversations with friends, we created Photo Journal: Personal Photography Reflections. 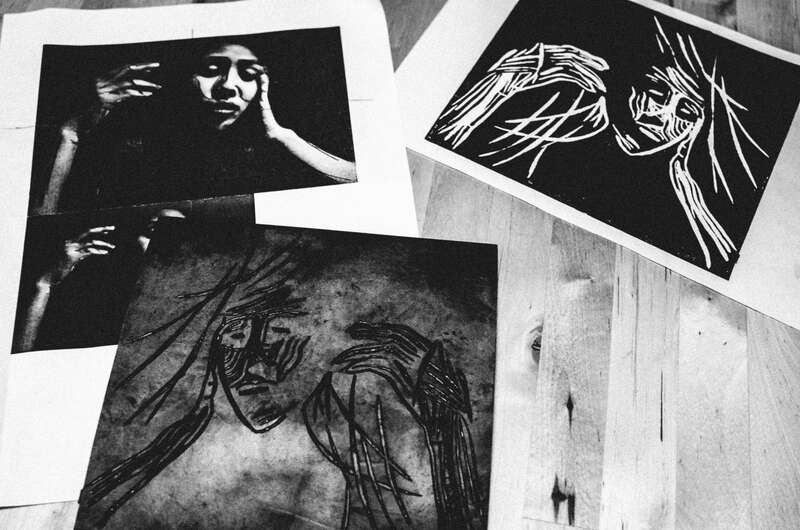 Photo Journal invites you to reflect on your photography, motivations, and dreams. This handbook is a friend to help you reflect on “why” — why you take photos, why photography is meaningful to you, and why creativity is important to you. Personal Photography is a tool to discover your own inner photography purpose and to better appreciate the beauty in the mundane. In summer 2016 we put together Street Notes: A Workbook & Assignments Journal for aspiring street photographers to have in their pocket a ‘workshop’ with specific street photography assignments. Photo Journal takes a similar format, but encourages you to look inward. Each day you are given a new pratical tip, prompt, or assignment to reflect and write. When you feel unmotivated in your photography, revisit Photo Journal to help you find more personal meaning in your photography. Day 1: Why do I take photos? Day 6: Do I need to take photos everyday? Day 18: What do I want my legacy to be? We intentionally made Photo Journal pocket sized, 3.5 X 5.5 inches, 44 pages (100% recycled paper) so that you could always carry it with you in your front shirt pocket, back pocket, or bag. Photo Journal can always be carried with you while you’re on the streets shooting, on your morning commute, or enjoyed alongside a nice cup of coffee or glass of wine. Flip through the prompts whenever you uninspired and seek motivation in your photography. We hope that Photo Journal will be a tool to connect with others working on Personal Photography. Share tips, host meet ups, and follow along the photographic journey with the hashtag #personalphotography on Instagram, Twitter, and Facebook. Cindy and I believe in making educational resources that can empower and inspire. 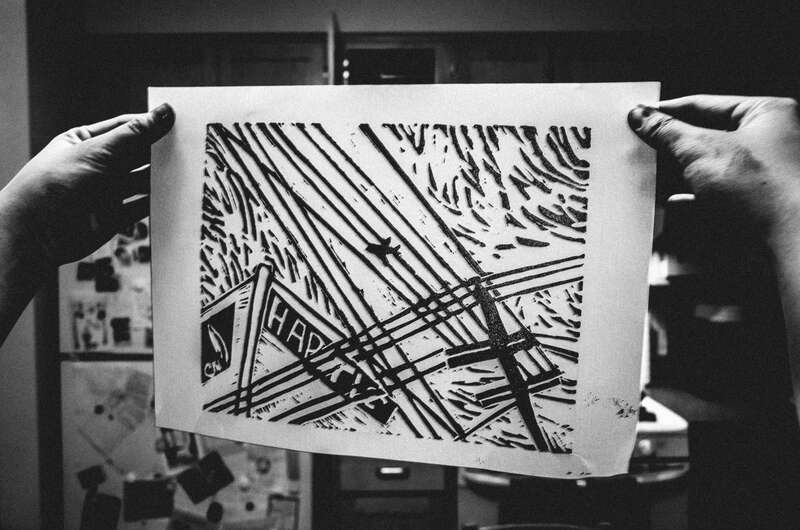 From this dream came Haptic Press, which published “Street Notes” and now “Photo Journal.” We hope that that these books can bring joy, gratitude, and spark creativity in your life. We priced Photo Journal at 19.95 USD because Street Notes is printed in small, quality controlled batches in California. Each purchase will help to support open source information and keeping things free and open on the blog. Shipping will be via US Postal Service First Class 1-3 business days (USA) or 7-21 days (international). Note: For international shipping, there might be a possibility of an import/customs tax that the recipient would need to pay on arrival. The customs requirement might require additional shipping time. 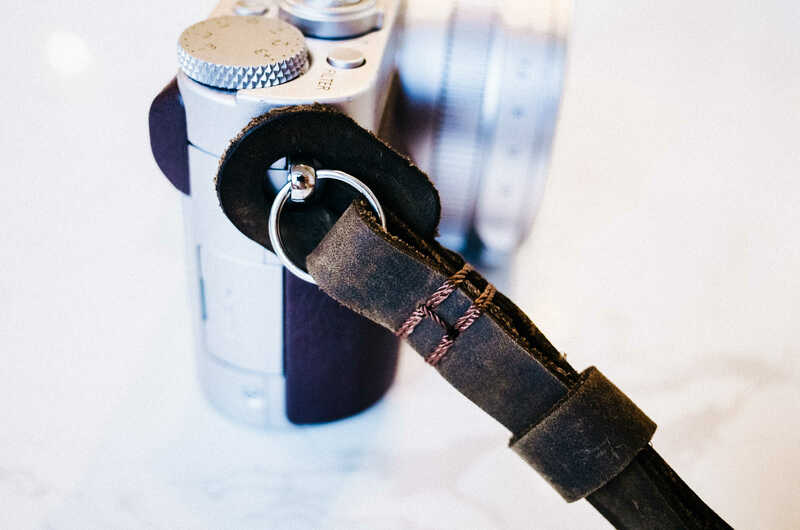 Henri by Eric Kim offers small batch handmade, leather neck straps and wrist straps for cameras. The Henri strap is functional, fashionable, and has character. Made from durable 100% leather, this coffee-colored strap will age beautifully as you take it on your photographic adventures. The Henri strap is light, comfortable, and ideal for smaller cameras (such as a Fujifilm, micro 4/3rds, film cameras, and rangefinders). These straps are all hand-made from our two good friends in Saigon, who are leather-makers, singers, and entrepreneurs. Cindy did all the final touches and packaging in California. 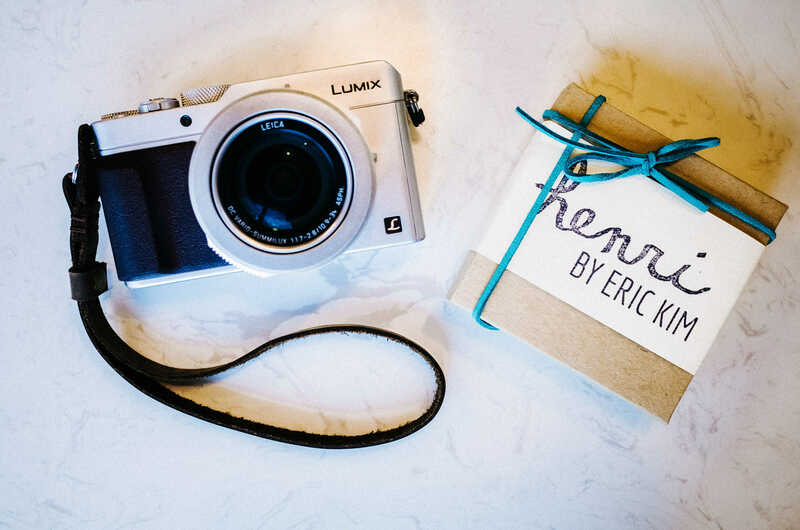 We hope the “Henri” strap will be a friend that can accompany you in all of your life’s journeys– and we hope this is the last strap you will ever need for your camera. 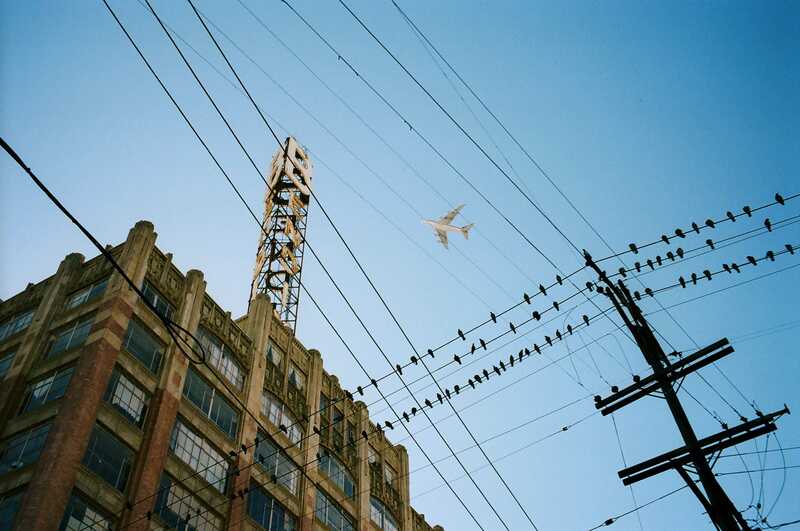 THE CITY OF ANGELS is a photography triptych that honors the rough edges and honest beauty of Los Angeles, California. While walking in Downtown Los Angeles, Eric Kim met multi-faceted strangers and sought to create portraits imbued with emotion, soul, and mystery. He hopes that these images remind others of the beauty of fleeting encounters and the serendipity of life. Eric Kim made these photographs from 2011 to 2016 in Downtown Los Angeles. 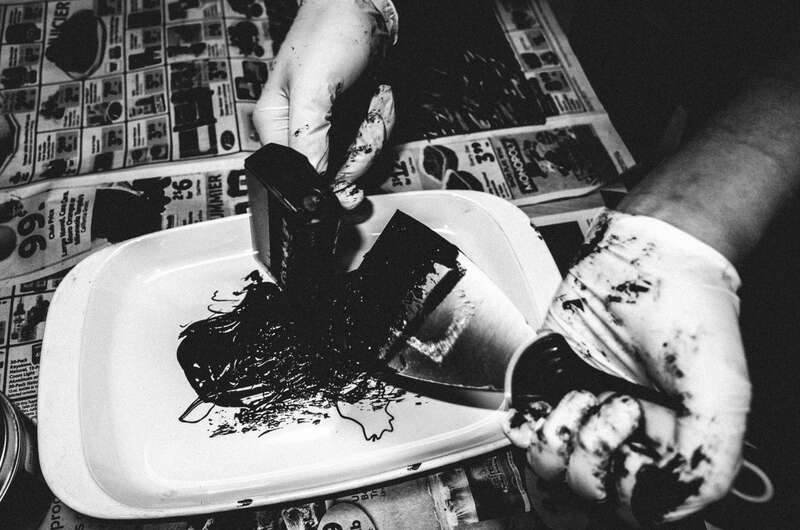 Each art portfolio is unique, made of organic materials, and responsive to touch. The portfolio may be viewed as a tri-fold book or displayed on the wall from its button-string closure. 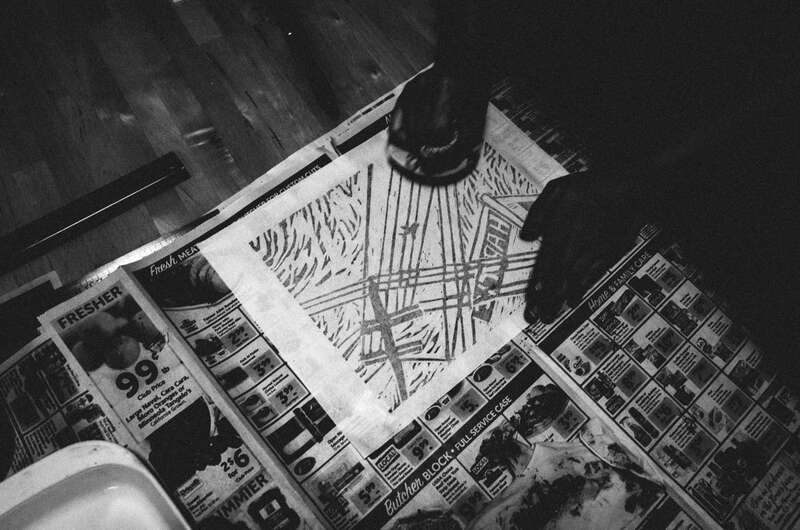 Hand made printing with oil-based printing. 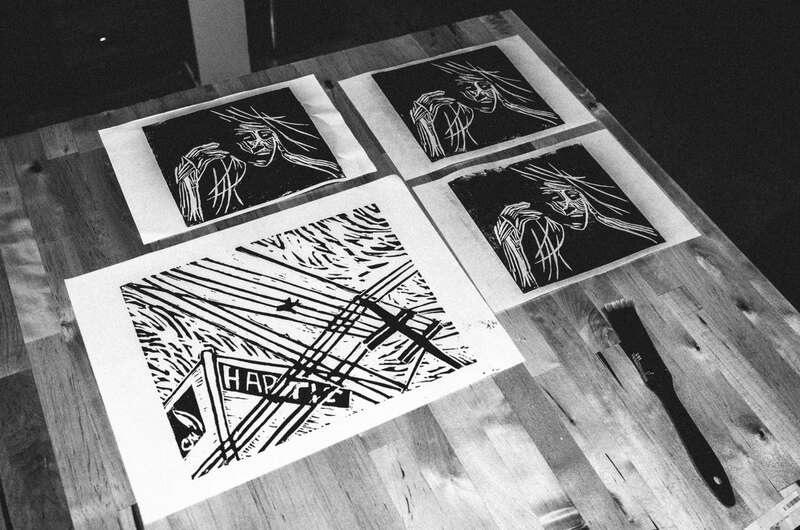 Hand made printing of Haptic Press linoleum prints.